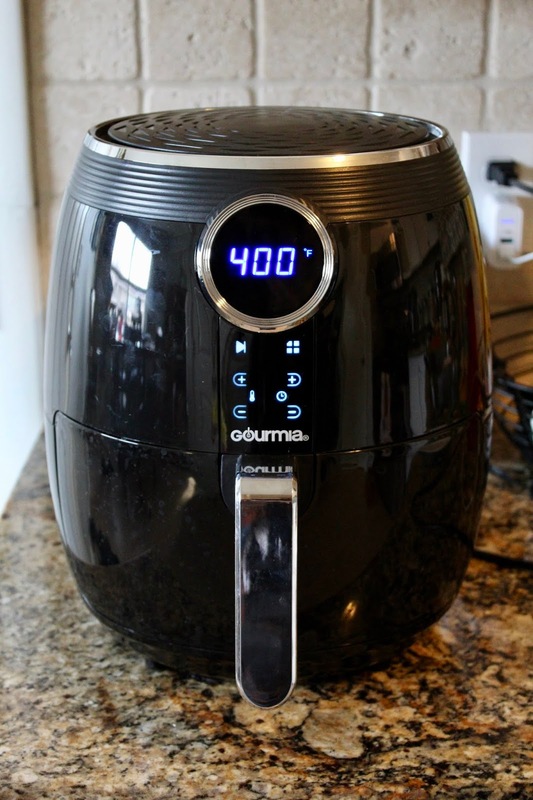 If you don't have an air fryer yet, I would strongly encourage you to look into it! In my opinion, it's way cooler than a pressure cooker, even though that has its place as well. You can "fry" almost anything without all the extra grease. It's literally magic! There's no preheating either so everything is done faster. This is the one I own and this is the one my parent's own. I got the 5 qt. because of lack of kitchen space, but the 6 qt. is awesome! They are honestly so easy to use and the results are amazing. I put frozen food in there all the time that comes out so crispy and tastes fried. 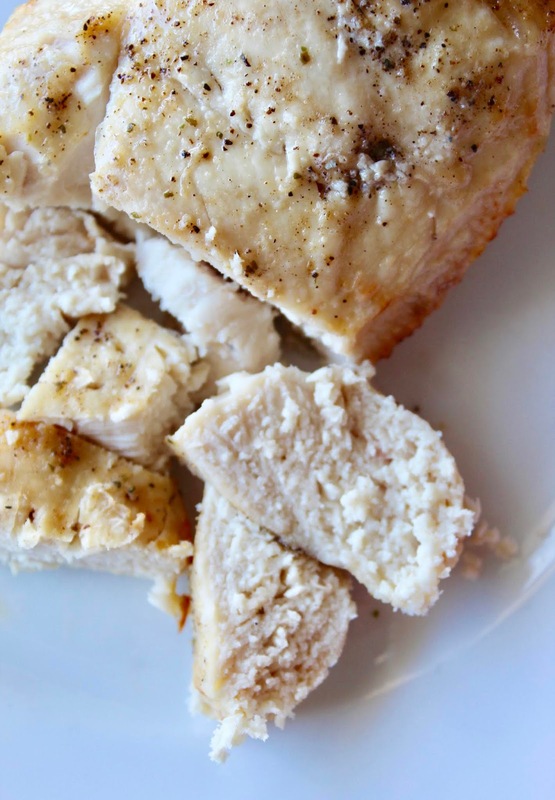 But my absolute favorite thing to cook in the air fryer are chicken breasts! They come out so perfectly tender and juicy. I can't rave about them enough! The best part is you can cook one chicken breast if that's all you need or as many as you can fit without them touching and it's the same cooking time! I will probably use this method forever because I love it so much. Have I convinced you yet?? 1. Brush both sides of chicken breasts with olive oil. Season both sides with salt and pepper. Season with additional spices if desired. 2. 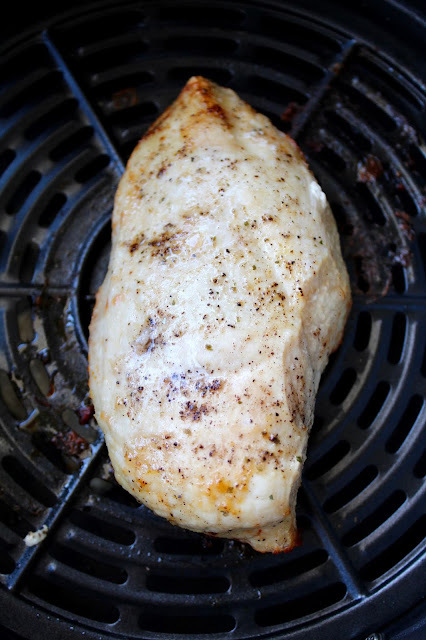 Place chicken in air fryer basket, standing against sides of basket if necessary so none of the chicken breasts touch. 3. Set to 350°F and cook for 15 minutes. Flip chicken over and cook 5 to 7 minutes longer or until the internal temperature is 165°F.